PJ Masks is an animated TV series which follows three main characters, Catboy, Owlette and Gekko, as they become a superhero team at night fall to fight bad guys, Romeo, Luna Girl and Night Ninja. Our twin girls are six years old and they really enjoy watching PJ Masks on TV. That’s why I thought they’d love this playset! 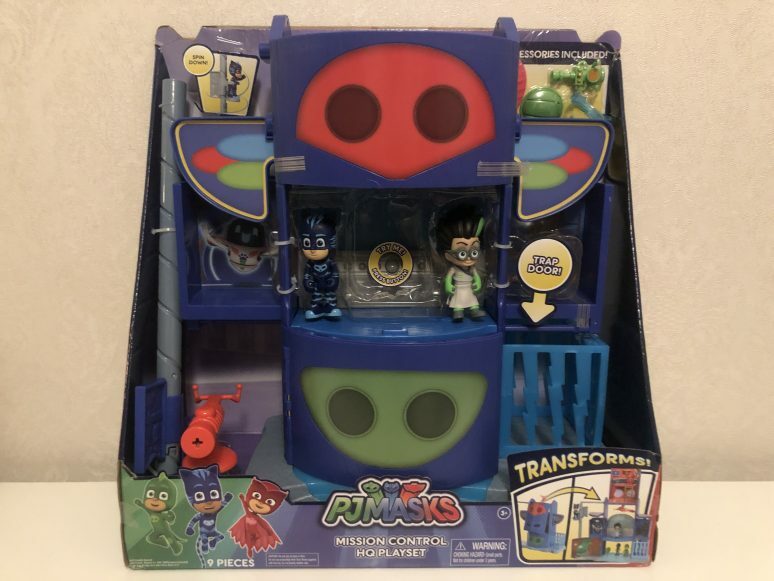 I think that the PJ Masks Mission Control HQ Playset is the perfect toy for PJ Masks fans. 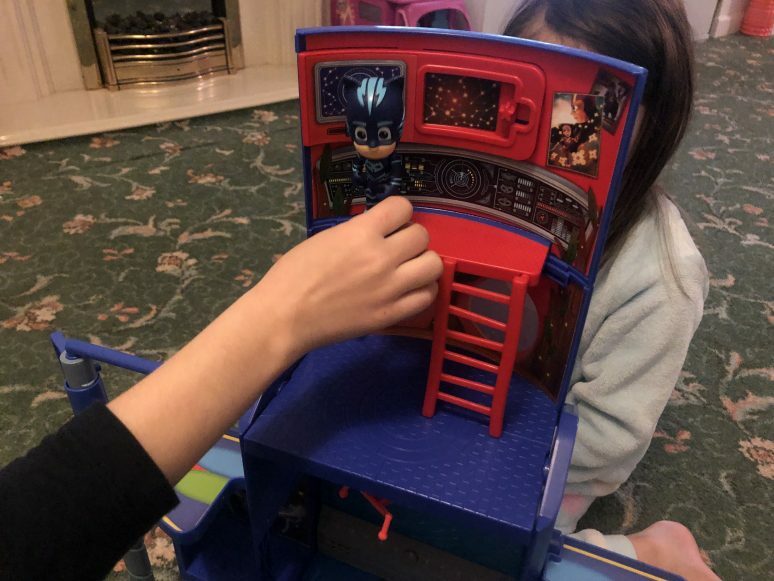 The PJ Masks Mission Control HQ Playset is available from Smyths online here for £49.99, as well as other good toy stores and amazon. 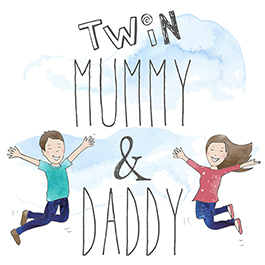 It’s aimed at children aged 3-6 years. It comes with one Catboy figure and one Romeo figure, as well as accessories such as Catboys stripe, Gekko’s shield and a feather shooter with one dart. 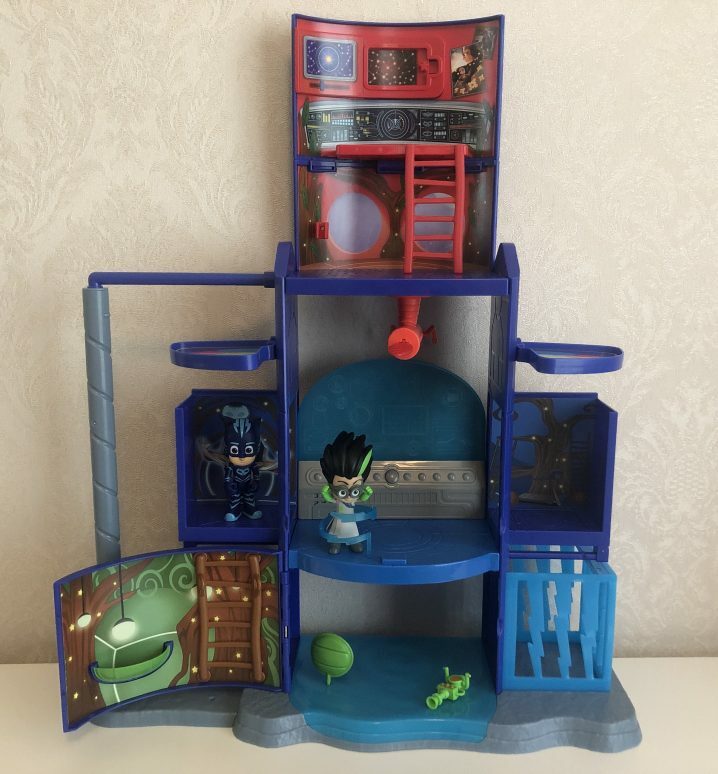 The PJ Masks Mission Control HQ Playset is three levels of action packed fun! 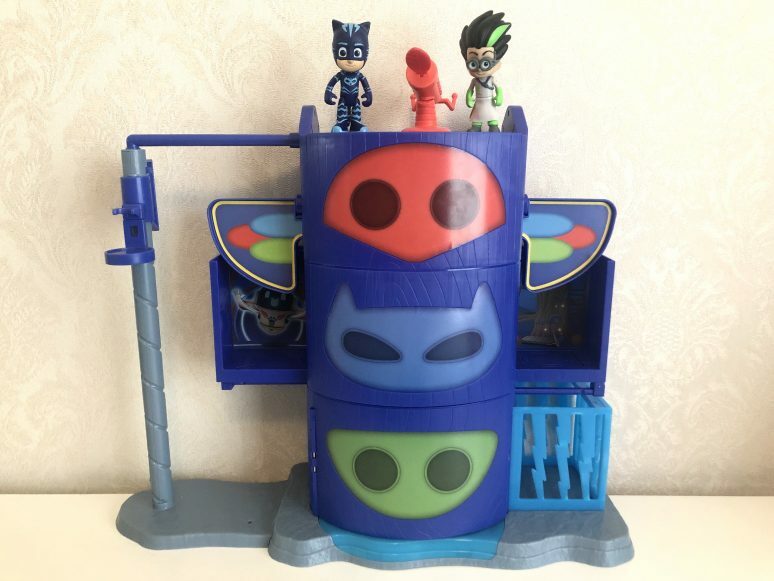 At first glance you’ll be able to spot the masks of Gecko, Catboy and Owlette on the front of the Mission Control HQ, that’s because this dynamic playset starts out as the iconic PJ Masks totem pole Headquarters as seen in the show. 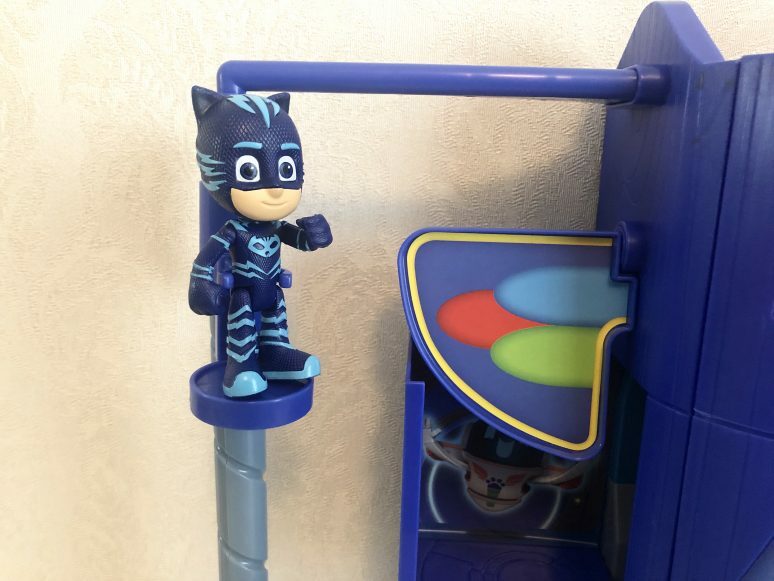 However, this is just a clever disguise as it then opens up to reveal three levels of kid-powered features that will keep aspiring heroes entertained for hours! Kids will love recreating the adventures of their favourite night time heroes, the PJ Masks! 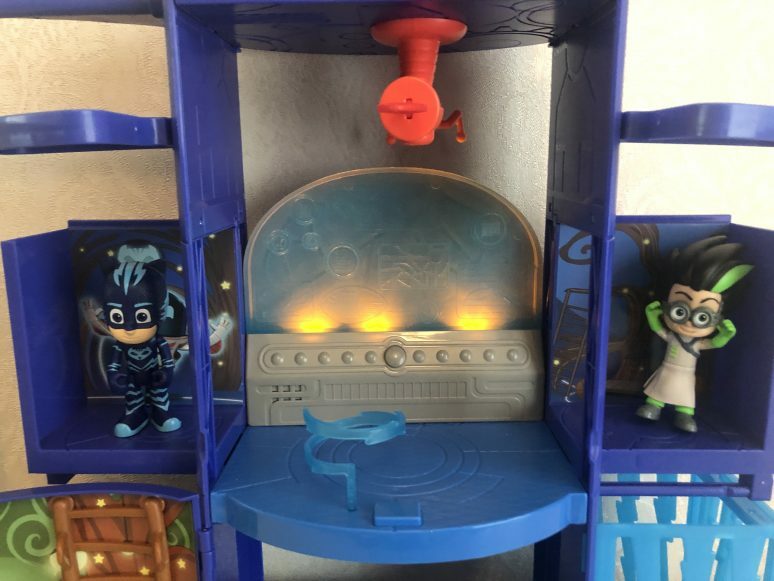 Children can capture villains with the secret trap door and lightning bolt cage at the press of a button. 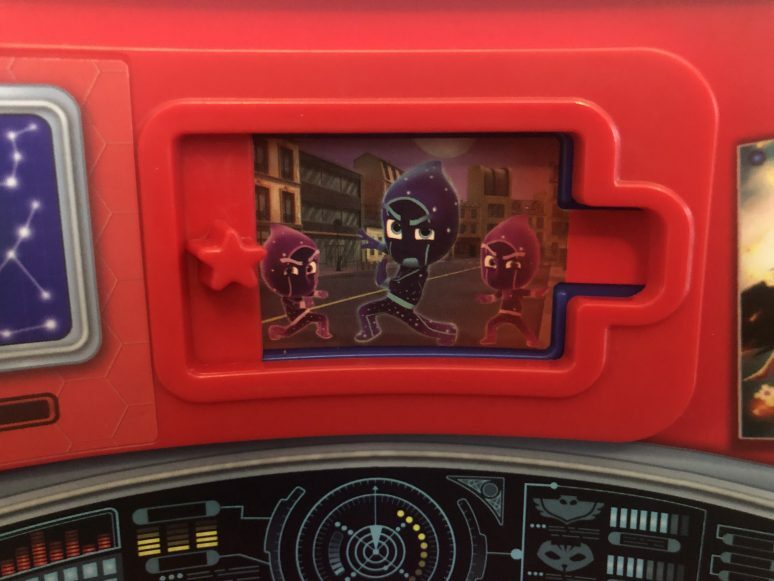 They can also plan PJ Masks missions with the light and sounds control panel that plays phrases from the show at the press of a button! There’s also a handy corkscrew pole that Catboy can spin down in order to quickly get to where he needs to go. 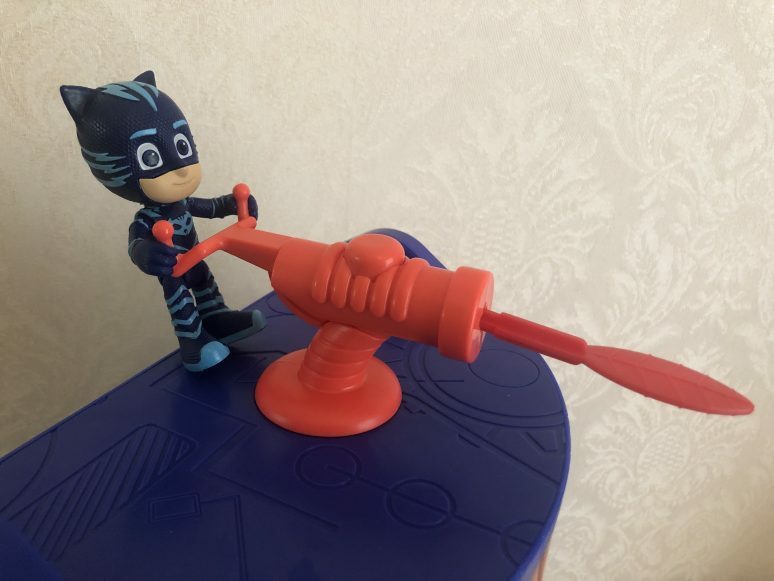 In addition you’ll find a moveable feather dart launcher that Catboy can use to defend the HQ from intruders. 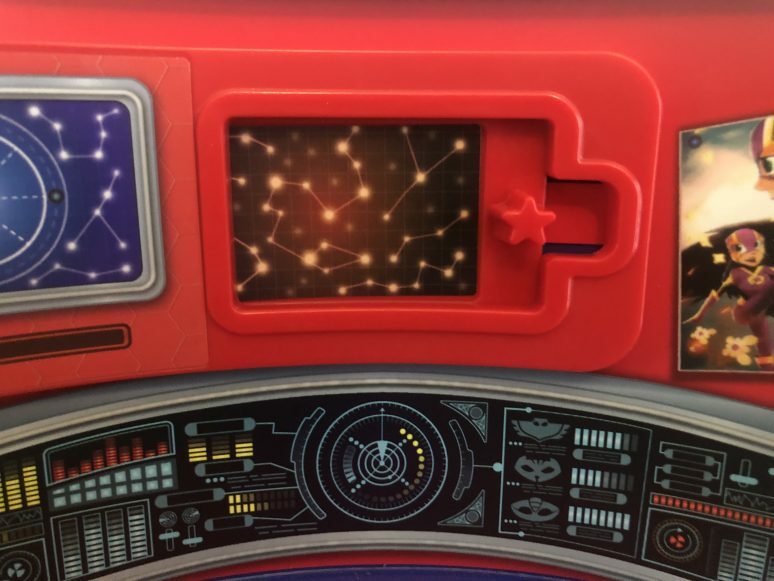 Children will be able to use the figures to deflect attacks with the built-in Gekko shield, and help Owlette choose the next mission with the scroll-through mission tablet! 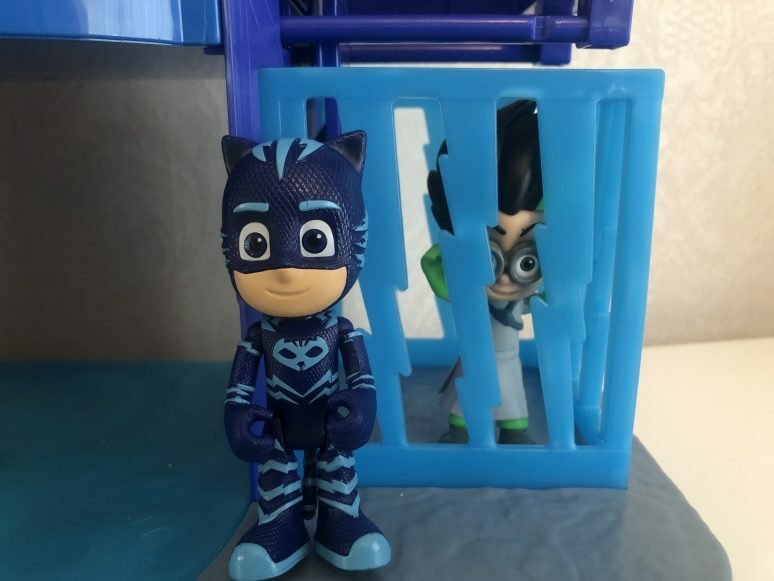 The great thing about the PJ Masks Mission Control HQ playset is that it can accommodate all PJ Masks 7.5cm figures which are sold separately. 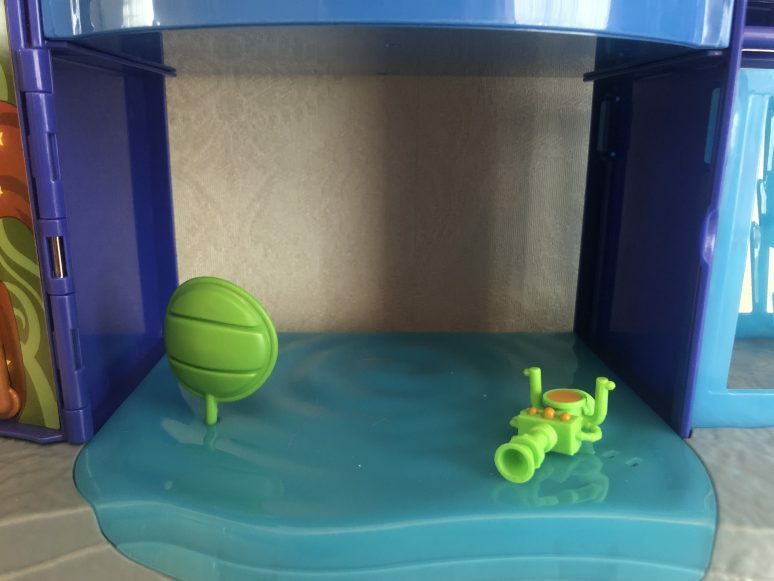 To see the PJ Masks Mission Control HQ Playset in action check out the video below. 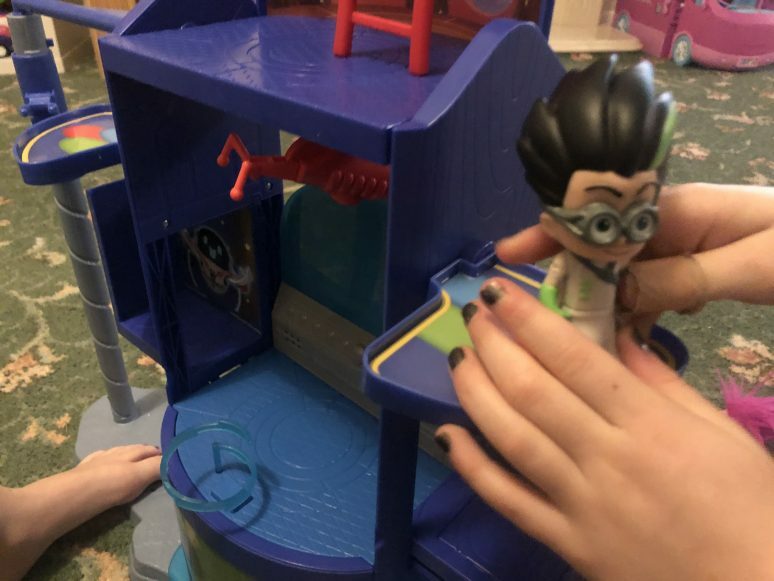 Overall, our twin girls love the PJ Masks Mission Control HQ Playset. It’s well made, fun and our girls really enjoyed making up different storylines to accompany their gameplay. For the purpose of this review we were sent one PJ Masks Mission Control HQ Playset and compensated for our time.